Erica received her Bachelor of Music in vocal arts from the prestigious University of Southern California Thornton School of Music in 2007. While on campus Erica participated in the USC Concert Choir and Chamber Choir and performed in the USC Opera productions and Opera scenes program. Erica has taken courses in vocal pedagogy and has taught music and dance to elementary aged children in a classroom setting. Erica has been teaching private music lessons since 2006. Erica's studio currently boasts an enrollment of over 28 piano and voice students. In addition to her private music lessons, Erica taught and conducted the Noon Chorus at Barron Park School in Palo Alto. Erica has taught and created an after school enrichment program called Sing! at Palo Verde and Escondido Elementary. She was also the Music Director at the Palo Alto Children's Theater Three Week Summer Academy in 2016. 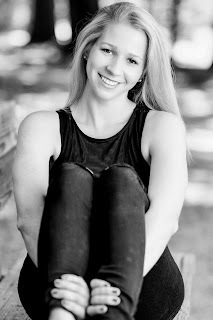 Erica attended Shasta High School and participated in the wonderful choral program under the direction of Ken Putnam. With the Shasta High Concert Choir and Madrigals, Erica traveled to Europe during the summers of 2000 and 2002 and sang in cathedrals in Spain, France, Germany, Czech Republic, Poland, Italy and Greece including St. Peter's Basilica in the Vatican City. She sang in three productions of the Madrigal Dinner and The Music Man, 42nd Street and Oklahoma. During the summer of 2001, Erica starred in The Sound of Music as Maria at Shasta College. Erica appeared as "Musetta" with the Northstar Opera Repertory Theater's production of La Boheme. 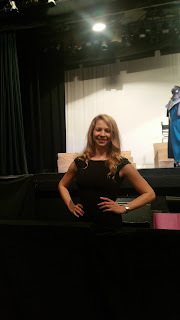 She was also a featured soloist in the Shasta College Summer Vocal Institute appearing as "Carmen" in the Habanera scene. That same year she was a finalist at the North State Opera's Young Artist Auditions and won the honor of performing as a soloist with the symphony. Erica was a national finalist in the Donna Reed Foundation National Scholarship Competition and performed in Iowa at the annual festival in 2003. During her Freshman year, Erica performed as a soloist with the USC Concert Choir and appeared as a Rapturous Maiden in the USC School of Theater production of Patience. During her Sophomore year, Erica performed her debuting role with the USC Opera as "Narciso" in Agrippina. She also appeared as a supernumerary in Stravinsky's The Rake's Progress. Erica performed Bach's Singet dem Herrn with William Dehning and the USC Chamber Choir at Disney Hall as part of the ACDA national convention in 2005. During her Junior year she sang in the chorus of Cendrillon and gave a recital in the spring. Erica gave a final senior recital in the spring of 2007, culminating her four years of training and education. 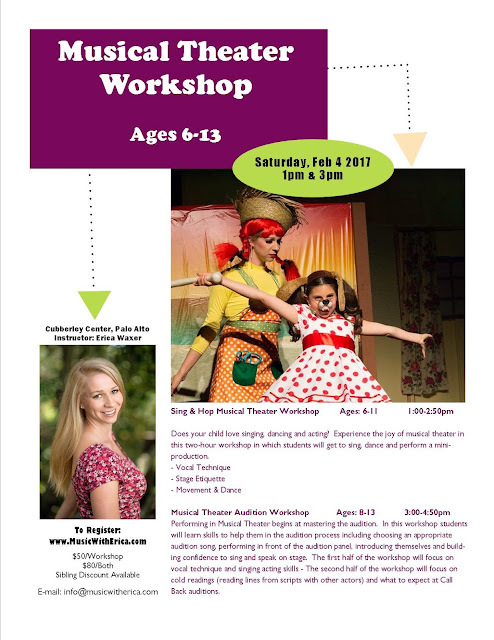 Since moving to Palo Alto in 2007, Erica has performed as "Marian" in The Music Man and as a "Boylan Sister" in Annie. She has also appeared in numerous vocal recitals and has sang in professional gigs for memorial services and parties.